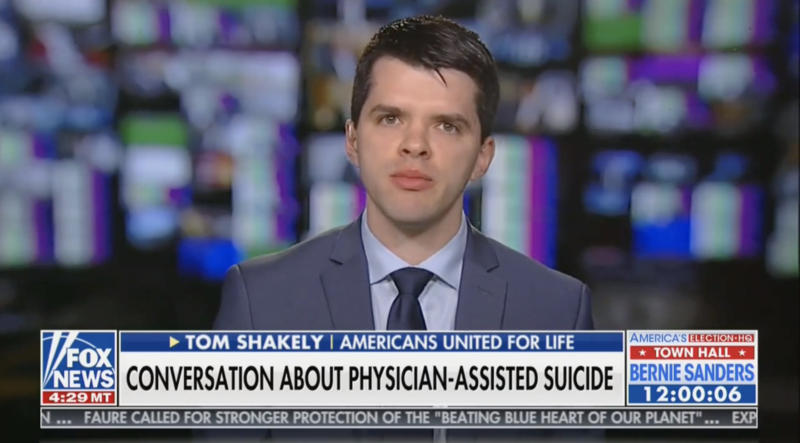 Tom Shakely, Chief Engagement Officer at Americans United for Life, responds to Gov. Andrew Cuomo’s recent advocacy of suicide by physician for New Yorkers. Tom Shakely appears with Kristen Hanson, Community Relations Advocate for the Patients’ Rights Action Fund as well as Dennis Vacco, former New York State Attorney General. Dennis Vacco successfully argued the landmark 1997 U.S. Supreme Court case Vacco v. Quill, wherein the Supreme Court ruled 9-0 that no constitutional right to physician-assisted suicide exists. Assisted suicide and euthanasia would carry us into new terrain. American society has never sanctioned assisted suicide or mercy killing. We believe that the practices would be profoundly dangerous for large segments of the population, especially in light of the widespread failure of American medicine to treat pain adequately or to diagnose and treat depression in many cases. The risks would extend to all individuals who are ill. They would be most severe for those whose autonomy and well-being are already compromised by poverty, lack of access to good medical care, or membership in a stigmatized social group. The risks of legalizing assisted suicide and euthanasia for these individuals, in a health care system and society that cannot effectively protect against the impact of inadequate resources and ingrained social disadvantage, are likely to be extraordinary. … The media’s coverage of individual cases as a way of presenting the issues to the public also blurs the difference between a private act and public policy; between what individuals might find desirable or feasible in a particular case and what would actually occur in doctors’ offices, clinics, and hospitals, if assisted suicide and euthanasia became a standard part of medical practice. Public opinion polls, focusing on whether individuals think they might want these options for themselves one day, also offer little insight about what it would mean for society to make assisted suicide or direct killing practices sanctioned and regulated by the state or supervised by the medical profession itself.